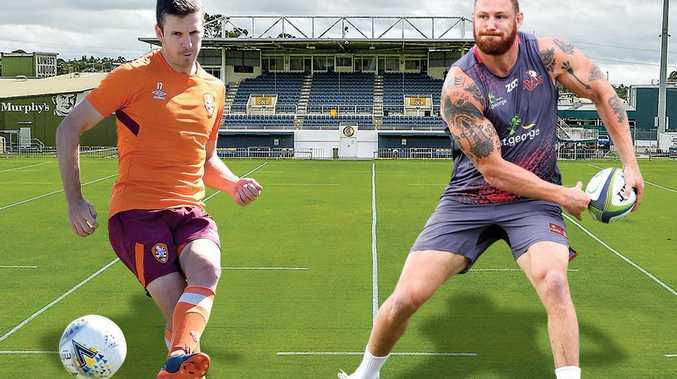 EXCLUSIVE: Gladstone is set to attract further high-profile sporting events into the future, with Mayor Matt Burnett in advanced talks with the Brisbane Roar and Queensland Reds to bring games to Marley Brown Oval. 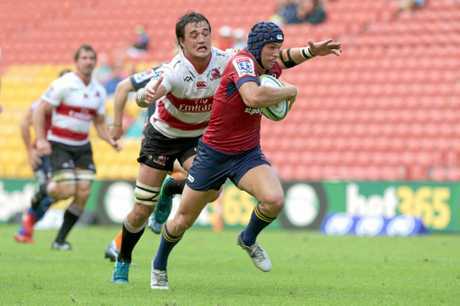 Cr Burnett has all but signed an agreement with the A-League side and will meet with Reds officials today in an effort to bring Super Rugby games or trial matches to Gladstone in the coming years. The mayor is seeking multi-year agreements with both clubs, which would coincide with an upgrade to Marley Brown Oval in order to accommodate 8000-12,000 spectators. It follows the successful NRL match between the Gold Coast Titans and Manly Sea Eagles in April, when 5136 people crammed into the venue. The Roar would likely play a trial game against a CQ representative side in July next year. Cr Burnett will use the Marley Brown Oval upgrade to attract events to Gladstone. He signalled the upgrade would be funded via rate equivalences from Gladstone Ports Corporation, which also funded the Gladstone Entertainment Convention Centre and surrounding precinct. It's hoped federal funds could be courted as well. "We need to increase the capacity so we can increase the revenue potential and have the construction and upgrade paid for by someone else," Cr Burnett said. "The idea is to be able to operate this facility cost-neutral or at a minimal cost to the ratepayer. "This is also for major events like concerts so we need to get ourselves a facility that can host those major events. "We will draw crowds who will come to the region and spend their money as well." The Roar are likely to play a pre-season trial at Marley Brown Oval next July against a Football CQ side, Gladstone rep team or 2018 CQ Premier League champions Clinton FC. The three-time A-League champions would spend three to four days in the region in a similar arrangement to when the Titans stayed here and ran coaching clinics and events. 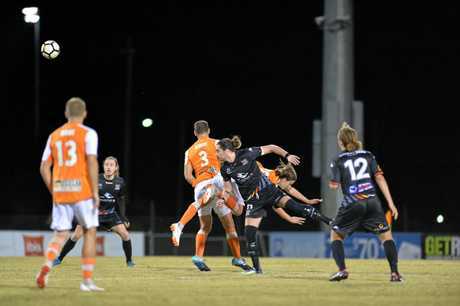 "My conversation with the Brisbane Roar was positive and they are very keen to come to Gladstone for a number of years in a long-term partnership," Cr Burnett said. 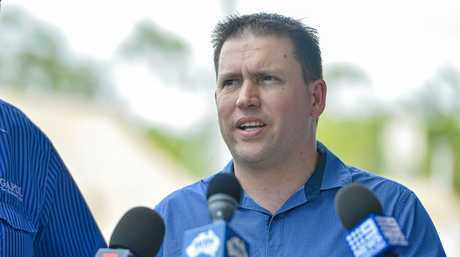 "They've indicated securing an A-League game would be no issue and we have options as to whether it's a home game for the Roar or we could buy a Sydney FC game because they've got issues with their stadium being knocked down. "We could also buy a Central Coast Mariners or (Wellington Phoenix) game if we can buy those at a reasonable price on the condition the away team would be Brisbane Roar." Cr Burnett said today's conversation with the Reds would be to push for a game in 2019 instead of 2020. "They are looking at 2020 but we are looking at the possibility of a 2019 game because in 2020 - depending on results from the Marley Brown Oval master plan - it should be under construction," he said. "We aren't building this for trial matches, we are happy to have them but want season-proper games as well."